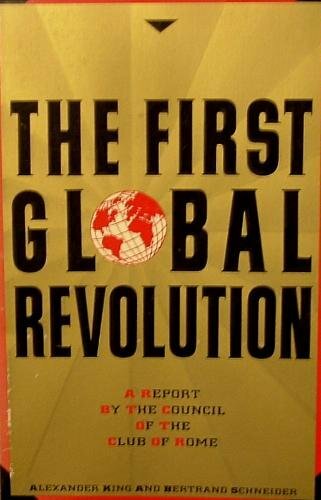 The goal was advanced, most notably, by The Club Of Rome (Consultants to the UN) – a group of mainly European scientists and academics, who used computer modelling to warn that the world would run out of finite resources if population growth were left unchecked. Around the same time, influential anthropologist and president of the American Medical Association for the Advancement of Science (AAAS), Margaret Mead, gathered together like-minded anti-population hoaxsters at her 1975, North Carolina conference, “The Atmosphere: Endangered and Endangering”. Mead’s star recruits were climate scare artist Stephen Schneider, population-freak George Woodwell and former AAAS head, John Holdren (currently President Barack Obama’s Science and Technology Czar). All three of them disciples of Malthusian catastrophist Paul Ehrlich, author of the “The Population Bomb”. With man’s industrial fortunes fingered as the driver of eco-destructive population growth, it was inevitable that ‘Science’ would be called upon to act as judge, jury and executioner. However, as it turned out, the science of global warming was butchered, tortured and corrupted to prove a hypothesis, rather than to perform objective science. The reason I have become so obsessed with “global warming” in the last few years is not because I’m particularly interested in the “how many drowning polar bears can dance on the head of a pin” non-argument which hysterical sites like RealClimate and bloggers like Joe Romm are striving so desperately to keep on a life support machine. It’s because unlike some I’ve read widely enough to see the bigger picture. One thing I’ve learned in this wide reading is how obsessed so many of the key thinkers in the green movement are with the notion of “overpopulation.” As one of their favourite think tanks, the Club of Rome, puts it: “Earth has a cancer and the cancer is man.” This belief explains, inter alia, why the “science” behind AGW is so dodgy: because the science didn’t come first. What came first was the notion that mankind was a problem and was doing harm to the planet. The “science” was then simply tortured until it fitted in with this notion. IPCC wanted to prove human CO2 was causing global warming as part of their belief that industrialized populations would exhaust all resources and had to be shut down. Their only objective was to show human production was steadily, inexorably increasing. Their calculations predetermine that, because human CO2 production is directly linked to population increase. A population increase guarantees a CO2 increase. It is another of their circular arguments that has no basis in science. So is the planet overpopulated? They believe all these problems are created by humans but exacerbated by a growing population using technology. “Changed attitudes and behavior” basically means what it has meant from the time Thomas Malthus raised the idea the world was overpopulated. He believed charity and laws to help the poor were a major cause of the problem and it was necessary to reduce population through rules and regulations. TCOR ideas all ended up in the political activities of the Rio 1992 conference organized by Maurice Strong (a TCOR member) under the United Nations Environment Programme (UNEP). The assumptions and objectives became the main structure of Agenda 21, the master plan for the 21st Century. The global warming threat was confronted at Rio through the United Nations Framework Convention on Climate Change (UNFCCC) and creation of the Intergovernmental Panel on Climate Change (IPCC). It was structured to predetermine scientific proof that human CO2 was one contribution of the “common enemy”. 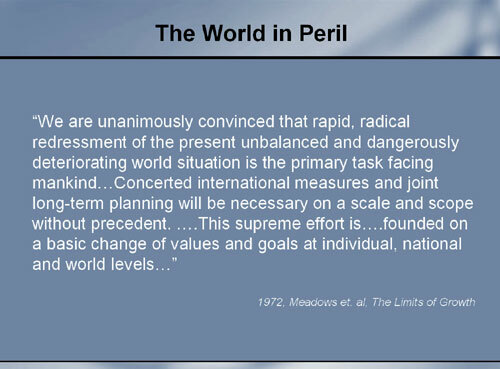 TCOR and later UNEP’s Agenda 21 adopted and expanded the Malthusian idea of overpopulation to all resources making it the central tenet of all their politics and policies. The IPCC was set up to assign the blame of global warming and latterly climate change on human produced CO2 from an industrialized expanding population. They both developed from false assumptions, used manipulated data and science, which they combined into computer models whose projections were, not surprisingly, wrong. The result is the fallacy of global warming due to human CO2 is a subset built on the fallacy of overpopulation. See full article here : Overpopulation: The Fallacy Behind The Fallacy Of Global Warming | Watts Up With That? The trap was set in the late 1970s or thereabouts when the environmental movement first realised that doing something about global warming would play to quite a number of its social agendas. At much the same time, it became accepted wisdom around the corridors of power that government-funded scientists (that is, most scientists) should be required to obtain a goodly fraction of their funds and salaries from external sources—external anyway to their own particular organisation. The trap was fully sprung when many of the world’s major national academies of science (such as the … Australian Academy of Science) persuaded themselves to issue reports giving support to the conclusions of the IPCC. The reports were touted as national assessments that were supposedly independent of the IPCC and of each other, but of necessity were compiled with the assistance of, and in some cases at the behest of, many of the scientists involved in the IPCC international machinations. In effect, the academies, which are the most prestigious of the institutions of science, formally nailed their colours to the mast of the politically correct. Since that time three or four years ago, there has been no comfortable way for the scientific community to raise the spectre of serious uncertainty about the forecasts of climatic disaster… It can no longer escape prime responsibility if it should turn out in the end that doing something in the name of mitigation of global warming is the costliest scientific mistake ever visited on humanity. This is why scientific organisations have – tragically – become almost the last places to hear the truth about the global warming pause. Too many reputations are now at stake. MUST SEE You Tube – James Corbett of the Corbett Report, debunks the myth of overpopulation. The ultimate prize to the eco-activists and their big government benefactors is the control of carbon, which would touch every aspect of our daily lives. Consequently, greenhouse gases and global climate change are of paramount importance to the eco-activist agenda. While much has been written about global climate change over many years, the basic aspects of the issue haven’t changed; we are asked to forget things we once knew and ignore the simplest hypothesis that the earth’s climate is ever changing. Abel Danger: club of Rome – the data doesn’t matter – all heretics will be punished – do you believe? if you wish to unite man you need an evil or a thing we must fear every second of our lives. like annihilation by a force beyond our reach or another intelligent species trying to exterminate us.or a being with power beyond comprehension we must fight. we need not find our enemy we must create it. This is either the real truth or it is not. How can it not be true? These statements have been made. The ensuing activities of all “global warming” activists have confirmed the truth. Prostituting themselves and insulting scientific intelligence. Brainwashing the public and governments. All convincingly being show to be a fraud by the truths in this post. Reblogged this on http://www.didyouhearpodcast.com didyouhearpodcast@gmail.com. Global warming or local warming? We still have to unite efforts/ resources to share a brighter future together.